Shoryu Pop-Up 10% OFF Voucher! 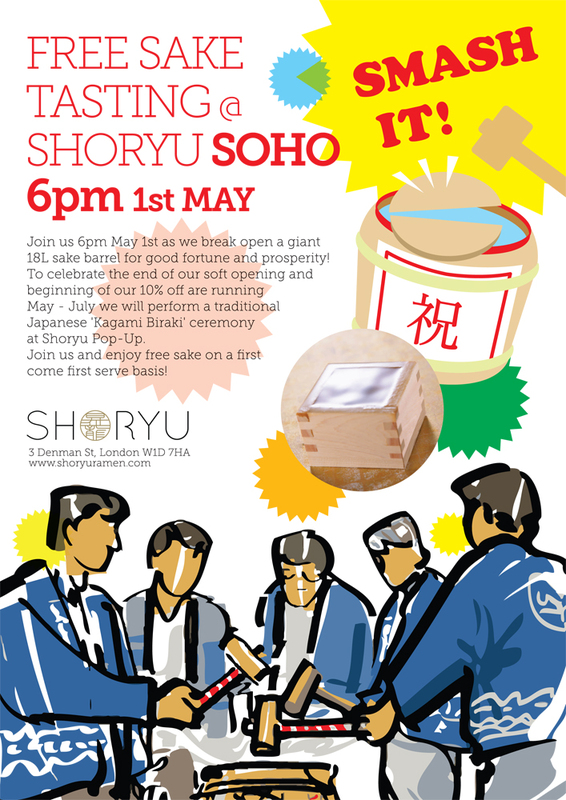 From May 1st our half price deal at SHORYU POP-UP has to sadly end, but we know you all love a bargain so for the complete pop-up season at 3 Denman Street, Soho we’re offering 10% off the whole menu from 1st May – 31st July! Simply print off, fill in and bring along this 10% OFF POP-UP VOUCHER and benefit from money off your final bill. Retailer or Restaurateur? Order Wholesale From Japan Centre!